Okay, so I knew a lot of what they put in commercial ice cream these days wasn’t good for us, but it’s even worse than I thought, especially with “main stream” brands. And it turns out even many “healthy” varieties are usually anything but. When I’m not making my own version of ice cream using frozen banana chunks and full fat coconut milk (with some vanilla powder, a dash of cinnamon, and maybe some walnuts, Action Whey, cacao or fruit thrown in), I usually rely on Luna & Larry’s Organic Coconut Bliss Ice Cream. Heavenly, healthy, and as satisfying as “the real thing,” AND it happens to be on Food Babe’s recommended list. Yea! Is There Really A Healthy Ice Cream Brand? I love ice cream! When I want a treat, ice cream is one of my favorites! But take a walk through the typical ice cream aisle and you’ll find a minefield of risky (and sometimes dangerous) additives mixed with factory farmed milk. I’m a firm believer that everyone should still enjoy treats from time to time, but don’t consider it a treat to poison myself with heart-wrecking trans fats, carcinogenic poisons like glyphosate, and additives linked to gut inflammation. I’ve learned that you can enjoy treats (even ice cream!) that won’t destroy your health and pack on the pounds, but you just need to know what to look for. There are now some brands that seem healthier like Halo Top and Arctic Zero, and many people have been asking me if they are TOO GOOD TO BE TRUE. I’ll get to them in a moment, but first let’s check out what you’ll find in the major ice cream brands. Gut wrecking emulsifiers: Most ice creams are full of emulsifiers that have been shown to disrupt the good bacteria in your gut and can lead to disease and obesity. Companies use these because it’s cheaper than filling their product with 100% whole food ingredients. Of course the main ingredients in ice cream (cream and sugar) are also linked to obesity, but when you eat the real thing you feel more satisfied and are less likely to down an entire pint. Cellulose gum: Cellulose additives are typically made from wood and have been linked to weight gain, inflammation and digestive problems​. Polysorbate 80: This additive negatively impacts gut bacteria which can lead to weight gain, inflammation and digestive problems. Artificial Colors: Whenever you see a color like Red 40, Red 3, Yellow 5, or Blue 1, these are derived from petroleum and linked to several health issues including allergies, cancer, and hyperactivity in children. Mono and Diglycerides (or Partially Hydrogenated Oils): These contain trans fat which is strongly correlated with an increased risk of type 2 diabetes and heart disease. The CDC has linked trans fat to at least 20,000 heart attacks per year and the Institute of Medicine says there is no safe level to eat. This additive is often found in low-fat ice creams where they are trying to make up for what they took out, but you’ll find it in many others too! 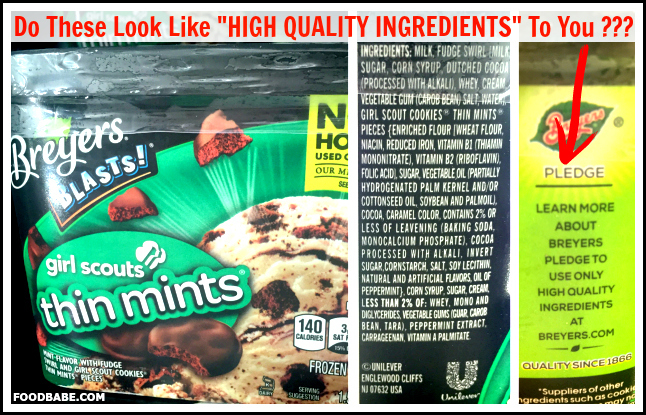 Sugar Alcohols and Zero-Calorie Sweeteners: “No Sugar Added” and “Carb Smart” ice creams are packed sugar alcohols like maltitol syrup and sorbitol. These are associated with destroying gut heath, and a healthy gut is the key to good health and a slim waistline. Artificial sweeteners like sucralose (Splenda) and acesulfame potassium have been shown to contribute to weight gain by encouraging sugar cravings. When you eat something sweet – even when it has no calories – your brain is tricked into wanting more calories because your body is not getting enough energy (i.e. calories) to be satisfied. So you keep craving sweets, eating sweets, and gaining weight. They also come with serious health risks! Artificial flavors: These synthetic flavors are made from proprietary chemicals to make fake food taste real. This is not a single ingredient – each flavor may contain of up to 100 ingredients, including synthetic chemicals, solvents and preservatives such as BHA, propylene glycol, MSG, parabens, and more. 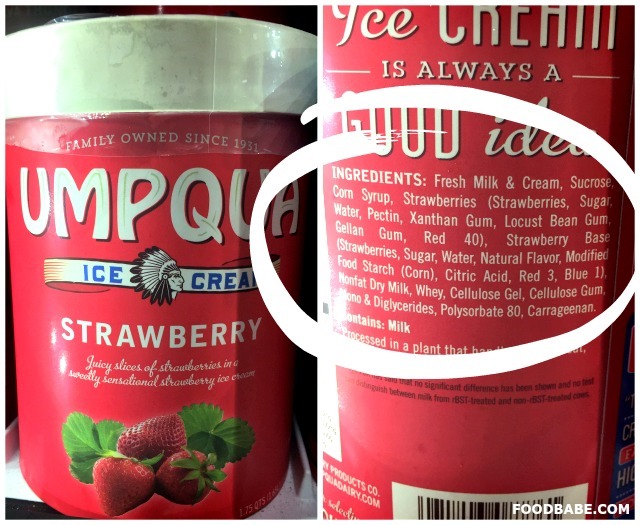 Natural Flavors: The only difference between natural and artificial flavors mentioned above, is that natural flavors are derived from things found in nature (such as beaver glands). Just like artificial flavors, they are created in a lab by a team of scientists and can contain up to 100 hidden ingredients. The bottom line: You have no idea what you are eating – and it might be propylene glycol, BHA, and parabens. Soybean Oil: This unhealthy oil increases the risk of obesity, inflammation, cardiovascular disease, cancer, and autoimmune diseases. 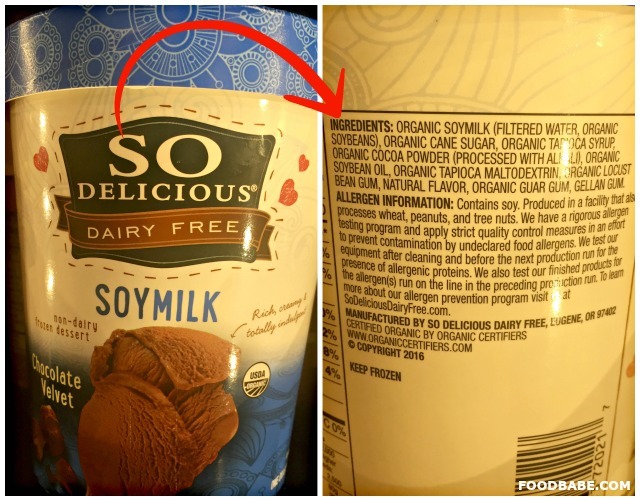 When it comes to organic Soymilk ice creams, an abundance of soy itself is not healthy in the diet as it can disrupt hormones and lead to disease. Soy also has an abundance of phytic acid that leaches calcium and other vital minerals from your body. 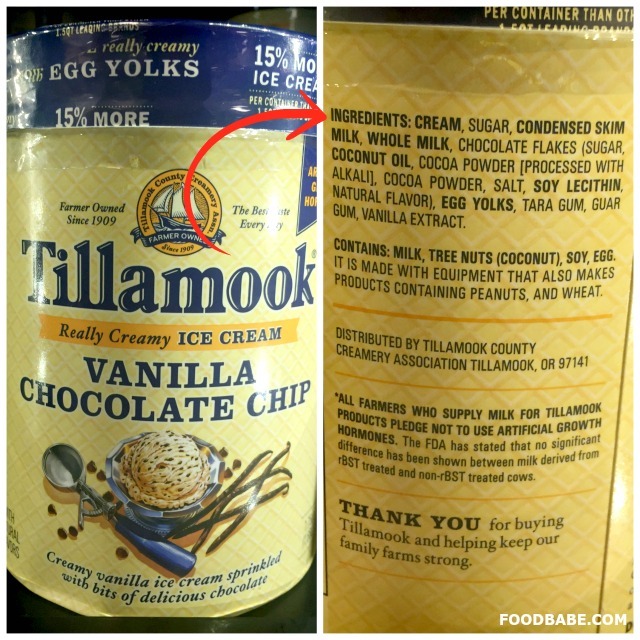 Cottonseed Oil: I was shocked to find cottonseed oil in LaLoo’s Capraccino Almond Fudge Ice Cream. This oil generally comes from GMO cotton crops that require an intense application of agricultural chemicals and have been called the “World’s Dirtiest Crop”. Residues from these pesticides can remain in cottonseed oil and cottonseeds are subjected to intensive chemical refining with toxic hexane, bleach, and deodorizers. I consider it one of the worst ingredients in food. “Sugar” Instead of “Cane Sugar”: The majority of sugar in this country comes from GMO sugar beets and not from cane. These sugar beets are Roundup-Ready, which means they are sprayed with the herbicide Roundup (glyphosate) and don’t die. 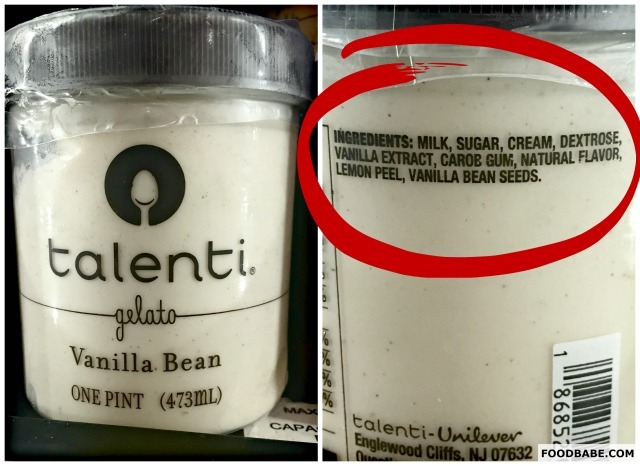 Whenever an ingredient list just says “sugar” instead of “cane sugar” that indicates it’s from GMO sugar beets. 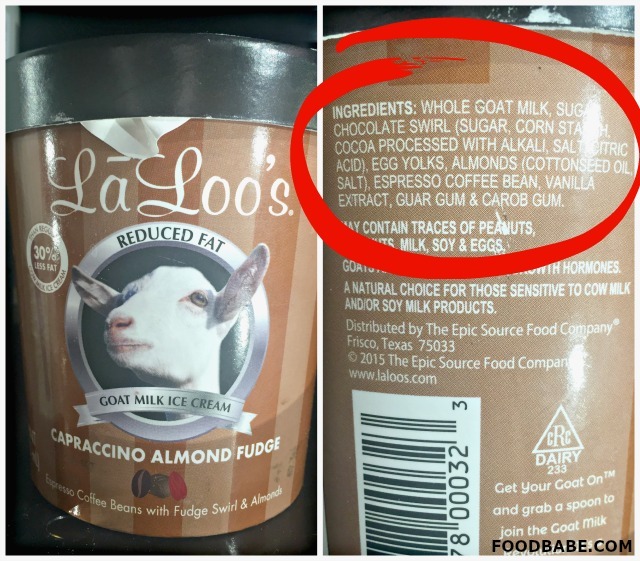 When my team contacted LaLoo’s Goat Milk Ice Cream they said their ingredients are “clean” and that they’re currently working on getting verified by the Non-GMO Project. But, unless you see that label on there, consider it unverified! 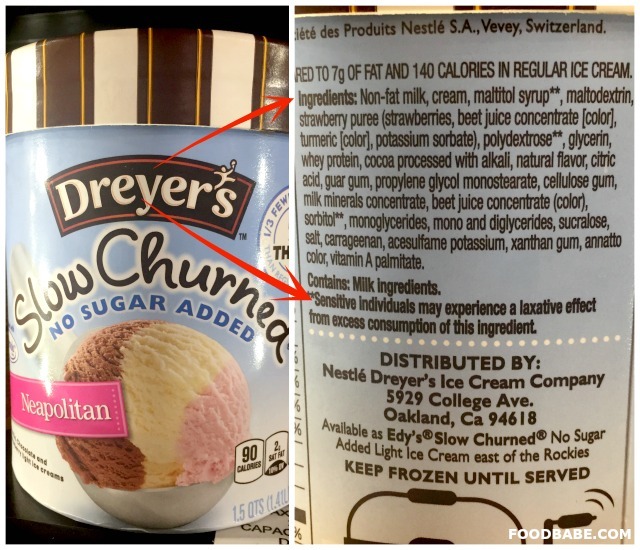 Conventional (not organic) Dairy: Some brands like Breyer’s, Tillamook and Häagen-Dazs have some flavors with cleaner ingredient lists with fewer additives, but they don’t use organic cream or milk. I outline all of the reasons to only choose organic dairy products in this post. 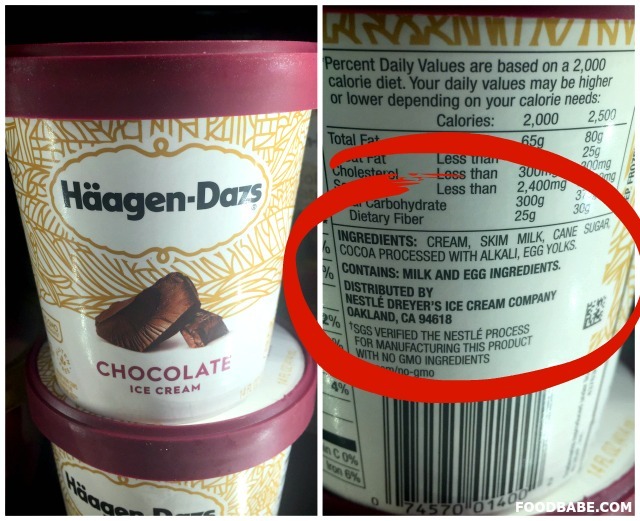 Häagen-Dazs has a non-GMO claim on their ice cream, but that doesn’t apply to the cream, milk, or eggs, in that the animals were likely raised on GMO feed. Their non-GMO claim is 3rd party verified by SGS and their standards don’t apply to animal feed – and a rep from Häagen-Dazs confirmed this with us. 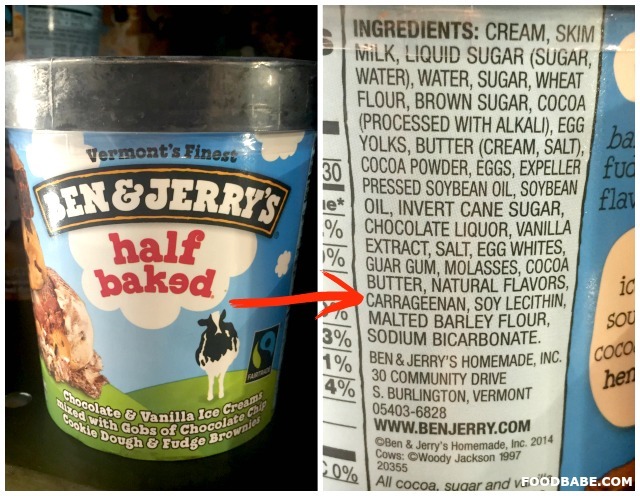 Ben and Jerry’s is another brand that uses non-GMO ingredients, but admits the cows are still fed GMO grains (but are trying to transition and hopefully will). Almost all non-organic dairy cows in this country are fed a diet of GMO grains on a factory farm. I call this “Monsanto Milk” because it is produced with a lot of GMOs which put more money in Monsanto’s pocket (and I don’t want to donate any money to them!). When cows eat GMOs, they are eating Roundup herbicide too. The primary ingredient in Roundup – glyphosate – has been found in the breast milk of lactating women. This suggests that glyphosate eaten by cows ends up in their milk too, but no one is testing it for residues. Glyphosate is linked to cancer. 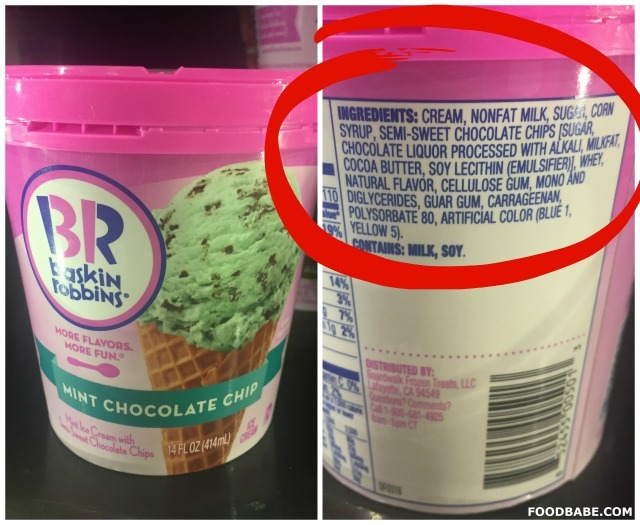 Testing has found other pesticides, antibiotics and drugs (sources: 1, 2) in conventional milk (including ones that are banned), and this is what you could be eating when you eat non-organic ice cream. Organically raised cows are only permitted to eat organic non-GMO food and organic grass. 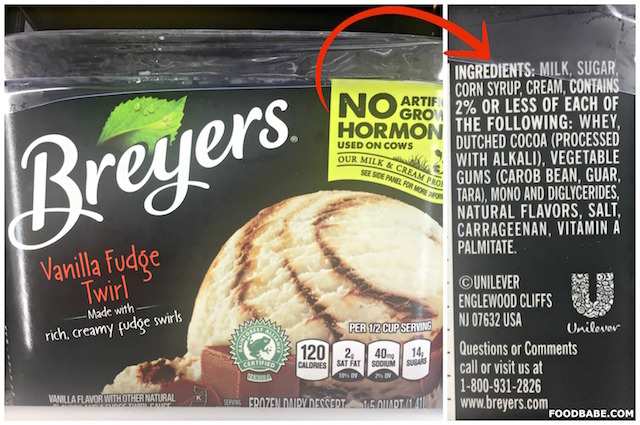 Ultimately, you want to look for certified organic ice cream to avoid dairy raised with herbicide-laden GMOs, hormones, antibiotics and all the drugs that are prohibited on organic farms. Halo Top does not use organic cream or milk, which means it is likely made with Monsanto Milk (from cows fed GMOs). 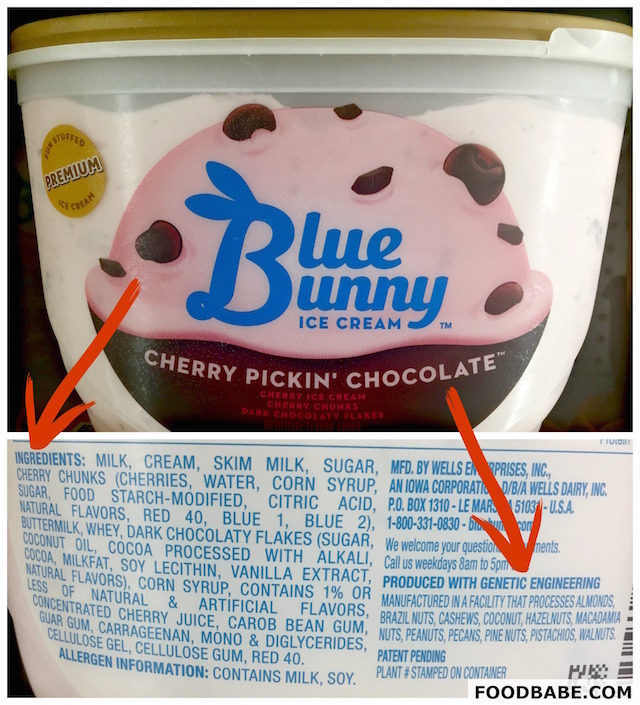 Their ice creams also contain non-organic eggs, which likewise, probably comes from chickens fed a diet filled with GMOs and possibly other drugs. 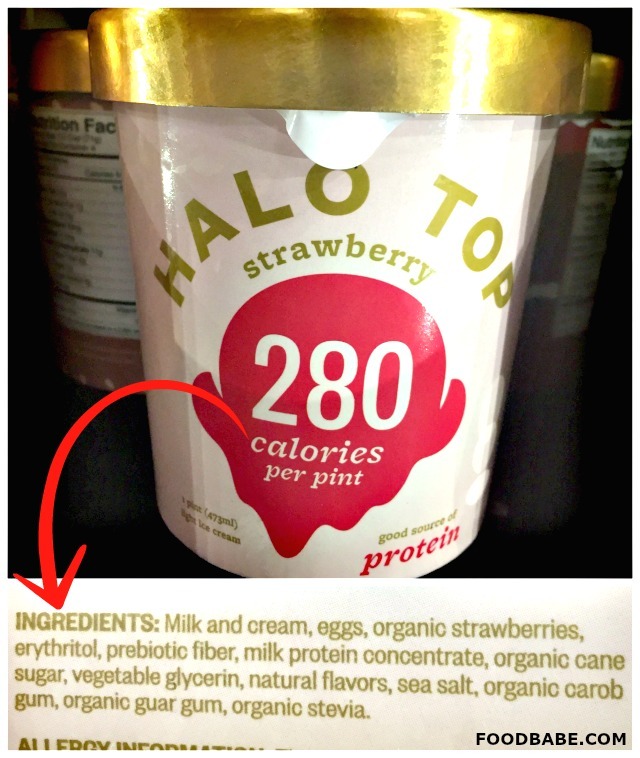 Halo Top uses the sugar alcohol erythritol as its primary sweetener. As more people are recognizing and avoiding artificial sweeteners like aspartame and sucralose, food companies are replacing it with erythritol… but that doesn’t mean it’s good for you. This additive can wreak havoc on healthy gut bacteria. This can lead to a whole host of diseases and if you’re trying to lose weight or stay slim, keeping your gut healthy is vital! Erythritol is also a powerful insecticide known to cause diarrhea, stomach upset, headache when consumed in “normal amounts”. Why add fiber to ice cream? This just makes it all too easy to think of Halo Top as some sort of health supplement, when in reality, ice cream shouldn’t be eaten every day (or for breakfast!) and we should be getting our fiber naturally from fruits, vegetables, beans, seeds, and not from processed fiber additives that were manufactured in a lab. The industry calls these “functional fibers” but they do not function in your body the same as fiber in real food. Email from Arctic Zero (May 2017): “We have no control over what the cows are fed, but please know we get all our whey protein from a GMO-free region. Our whey protein is GMO-free certified before added to our product and our final product is tested for GMO and it is GMO-free. Please know that our whey protein is not produced from genetically modified organisms, and does not consists of, or contain genetically modified organisms. Therefore, our whey protein is certified GMO-free”. 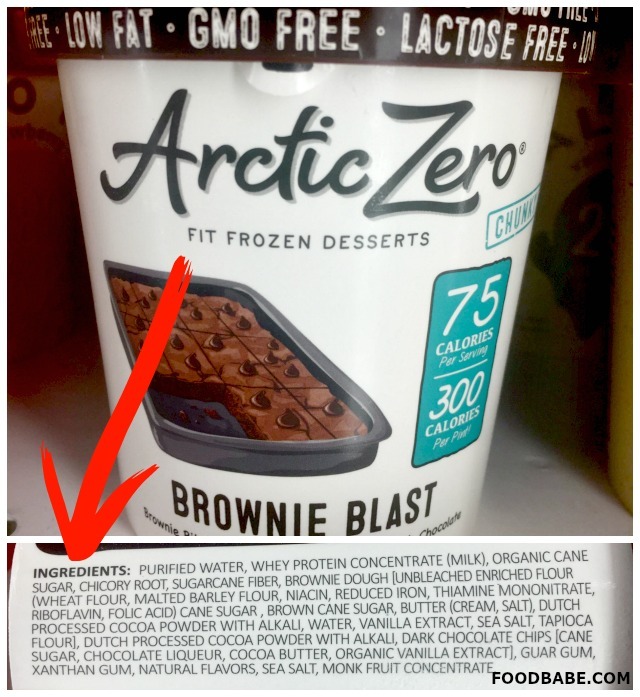 Arctic Zero is not 100% organic, the whey isn’t from organic cows, and it also contains processed “functional fiber” additives and not-so-natural flavors, so I don’t consider this a good choice. Homemade Coconut Milk Ice Cream – Three different flavors and no refined sugar! Tell me what your favorite ice cream brand is in the comment section below, and check out this previous Self-help Health post for 3 variations on coconut milk ice cream from Food Babe. If you like ice cream, but have been avoiding it because of dairy or it being unhealthy, the Coconut Bliss Organic Ice Cream I mentioned is great for tasting like the real thing, but being non-dairy and much healthier. The homemade is good and you can create your own flavors, but it doesn’t quite taste or look like how I remember ice cream from “the good ole days.” HA! Definitely easy and quick though.